3 BD 2 BA 2, 888-sq-ft house on Shavehead Lake, cupola w/ 360-degree view. 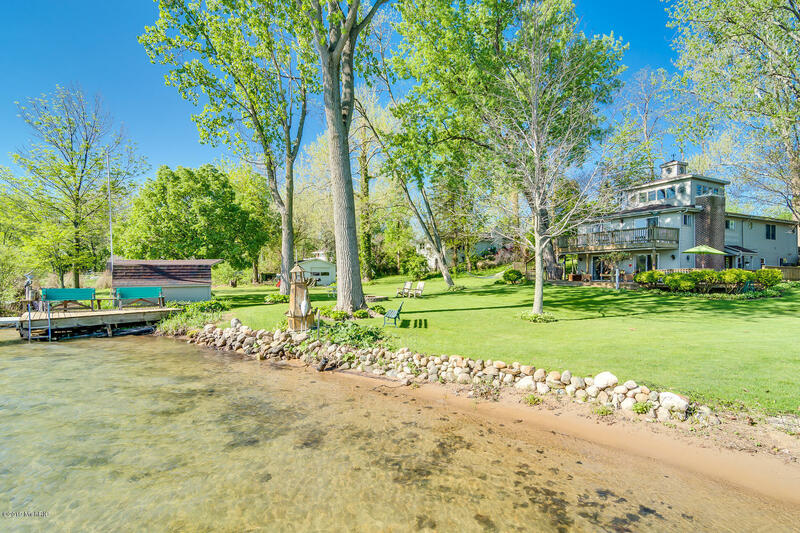 Shade trees, open space, 65 ft waterfront, shallow, sandy entrance, stone wall, private dock. Upper deck, large lower deck. Lower level: family room w/ fireplace, deck access; kitchen w/ abundant cabinets, breakfast bar seating; pantry room w/ refrigerator, freezer, built-in shelves, cabinets; dining area; bath; laundry; workshop. Main level: master suite w/ deck access, huge walk-in closet w/ mirrored sliding doors; living room w/ knotty pine wainscoting; corner dining area w/ lake views; 2 more bedrooms; bath; hall space w/ built-in bookshelves, stairs to cupola built of oak trees on the land. Property comes w/ huge 2-car garage, space for storage, tools, workbench; off-street parking; storage shed, fire circle.